We needed to fix some fences. No surprise there. Fixing fences is one of the constants on any farm. Two particular spots needed repair: the fence bordering the wheat field, and the fence bordering a neighbor's property we call "the pond property" (since, duh, it has a pond). 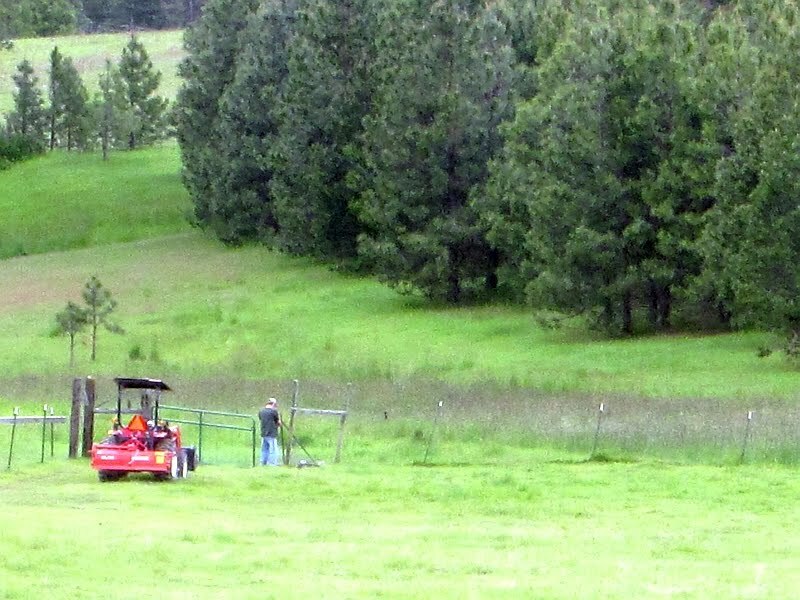 At least four of our cows were casually stepping over the fence onto the pond property and grazing its lush grasses, and we needed to put a stop to it. First, the wheat field fence. 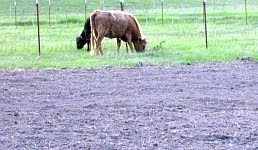 This is Smokey, grazing inside the wheat field. Her penchant for jumping fences (as well as a generally unpleasant personality) will shortly be earning her an honored place in our freezer. So far she's the only one to figure out how to slip through the admittedly pushed-down fence into this field. So Don and I went out and used baling twine (God bless baling twine!) 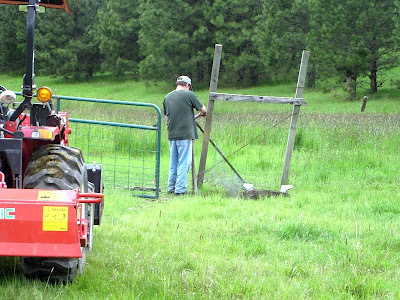 to raise the pushed-down portion of the fence and attach it to the high-tension wire that ran across the top of the fence. Very colorful and stylish, don't you agree? So far it's worked. Here's Smokey seeing the patched-up fence for the first time. "Hey! What happened?" Next we tackled the fence bordering the pond property. 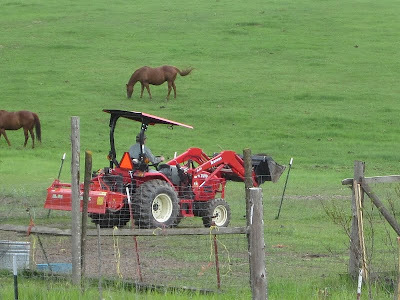 We still had our friend's tractor, so Don put the heavy tools in the bucket and drove it down to the bottom of the pasture (we also had some old T-posts and mashed-up chicken wire down there that we needed to bring up). This fence didn't have a high-tension wire at the top, so the livestock (especially our horse) had gradually pushed the field fencing down in an effort to get the grass on the other side, which everyone knows is always greener. 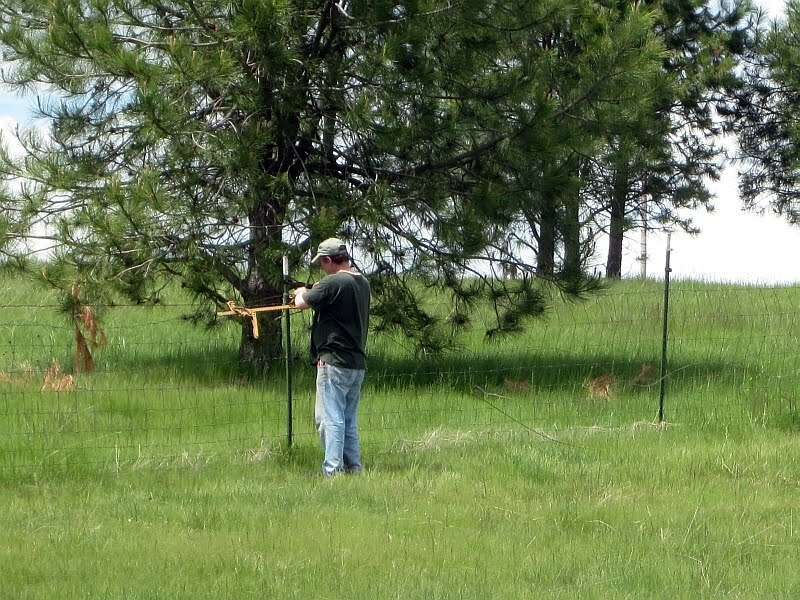 We had a roll of old barbed wire, so the first thing Don did was use the fence-tightener to ratchet a strand of high-tension barbed wire into position at the top. You can see what the pushed-down fence looked like, and why it was easy for curious cows to merely hop over it onto the pond property. 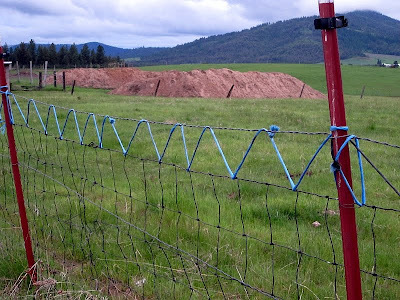 We used wire this time, to attach the pulled-up field fence to the high-tension barbed wire strand. So far the mended fences have worked, as we haven't noticed any cows where they shouldn't be. We finished the fencing and moved onto different projects. Then about midway through the day, Don popped his head in the house to report something he'd just heard on the radio. It seems Treasury Secretary Timothy Geithner is hoping the United States can bale out Spain. As the implication of this sunk in, I stared at my husband. "With WHAT?" I said. With our massive national debt, the idea of baling out Spain seems ludicrous. Don made a motion as if turning the crank on a printing press. "By printing money," he replied. We all know what that means. It means dollars will flood the market. It means what's worth $1 today will only be worth $0.50 tomorrow. It means prices will go up because money will be worth less. "If there was one piece of news that could force an all out panic in a market already on the edge," reported Zero Hedge, "it is that outgoing (as in finally departing) US Treasury Secretary, Tim Geithner, was getting involved in the European Crisis. Sadly, this is precisely what happened." "What are we, a bottomless pit of money?" I griped. "No, we're a bottomless pit of debt," Don replied. I read another dire headline in which the head of the World Bank warned that the financial markets could face a rerun of the Great Panic of 2008 and that Europe was heading for the "danger zone." And it occurred to me: it's time for ALL of us to mend our fences. Patch those holes. Fix things so our assets (cattle, in our case) can't escape. Fix things so other assets (the wheat) won't get damaged. Remove any negative assets (debts) that can prove damaging. If things get really really tough in this country -- if Geithner's (and therefore the current administration's) insane idea that America somehow has either the money or the authority to help bale out Spain, using manufactured fiat currency -- then all hell could easily break loose. Not that most Americans will care, of course. We're too busy sitting on our collective behinds watching American Idol and wondering why our Doritos keep going up in price. But thankfully there are others who are more vigilant, and they're reporting things I don't like to hear... because our fences aren't nearly as tight and well-mended as we could want. 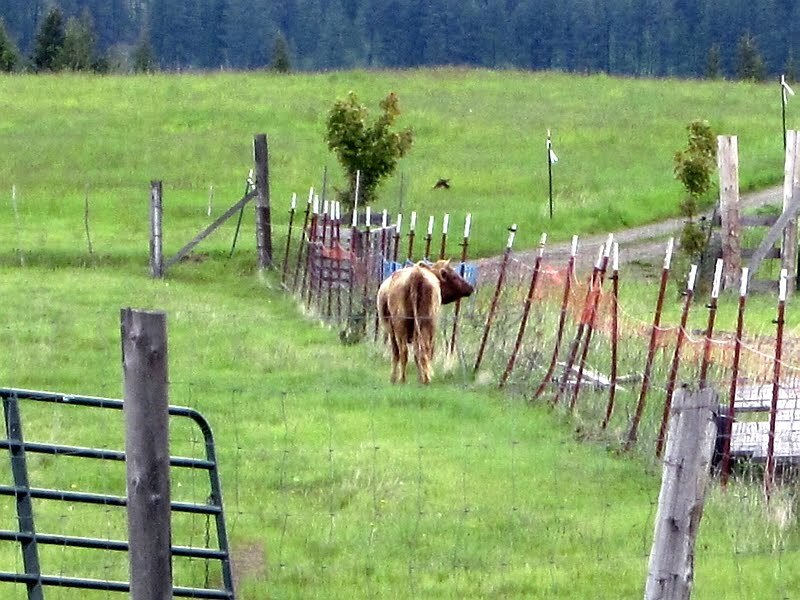 Every single one of us has different types of fences, of assets, and holes that need fixing. What are yours? And what are you going to do about them? 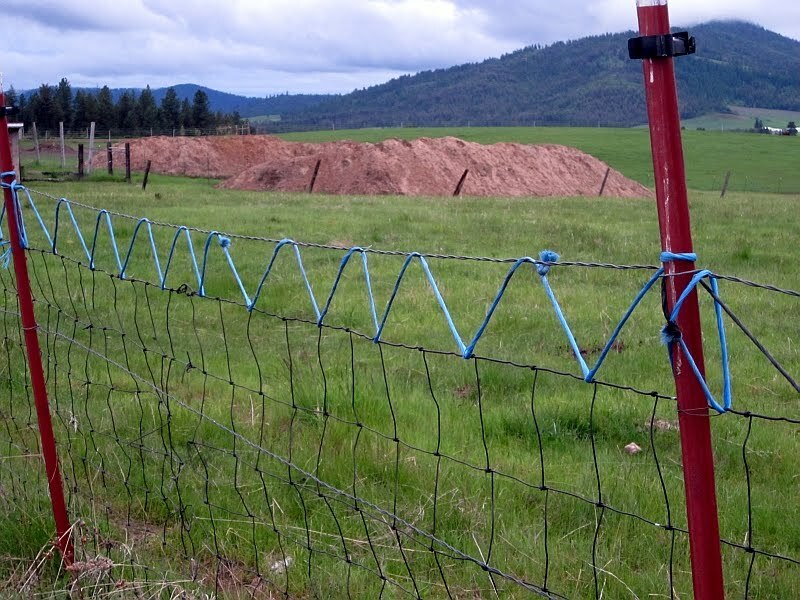 These assets -- these holes -- these fences that need mending -- don't just include economic considerations. They also include relationships and knowledge. Remember, preparedness is a three-legged stool: supplies, knowledge, and community. If you have gaps in your knowledge, now's the time to fill them. If your fences are failing because you don't know how to shoot a gun or make bread from scratch or pressure-can green beans, now's the time to learn. And most importantly, there will never be a finer time to mend fences with friends and family. If there are holes in your community relationships, today would be an excellent time to start repairing them. Make some phone calls. Bake some cookies and bring them to your neighbors. 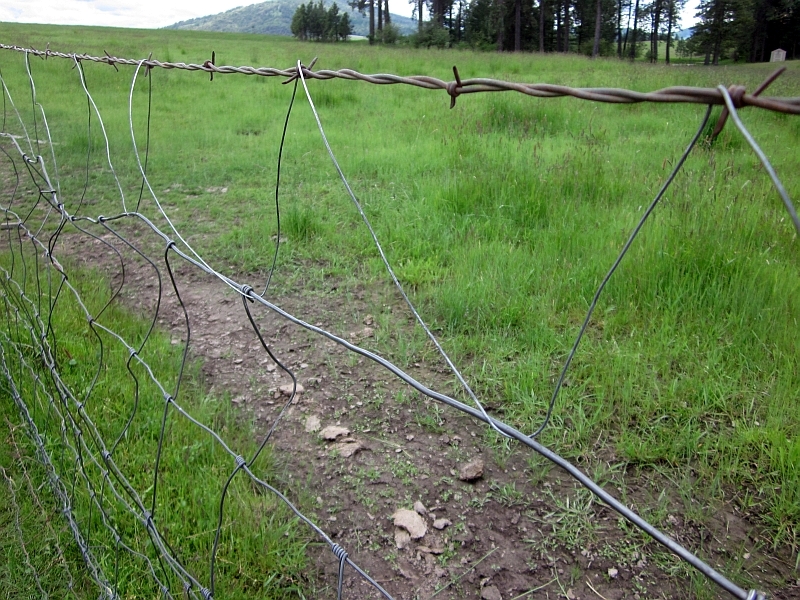 Mend those fences. 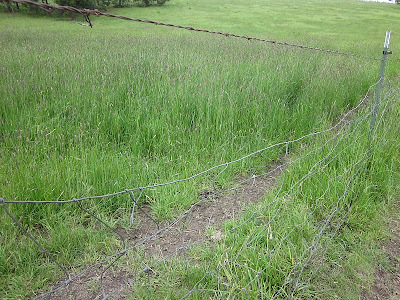 over the last several years this homestead of mine has been mending alot of fences. patrice, this is just another one of your good articles and i loved it. a few years ago i noticed that the three gates we have along a chain link fence (the puppies playground) were being damaged by one of our two sharpeis. she was pushing the chainlink away from the botton frame of the gate and making evening time escapes. i always have plastic covere wire clothesline pieces in the "dont throw it away" box and this is what i used to fix the gates. i threaded that clothesline just like you did you baling twine and so far, it has held up quite well. of course, then we had to watch her attacking the fence and going under...metal tent stakes every few feet in the worse spots and then we ran heavy concrete blocks around on the outside of the fence-they are too heavy for her to push-especially when filled with dirt/clay. no escapes for three years now...i think she has given up trying. Great word picture all the way around! Love baling twine! I save it too. Even when you knot the ends together, it works. Kinda like life - when something breaks, you mend it with something strong and durable. I loved your post today; lots of good lessons to learn. When a nation continues to throw money around it is a signal that soon this fiat currency wont be fit to be used as toilet paper. By seeing the preparations and actions the feds are in the midst of implementing, I can only hope people will take heed and prepare. When a administration/regime takes great pains to give the impression of normalcy it it usually the last steps before the other shoe drops. On a lighter side Patrice, you never disappoint with your photos. Proof positive of the rewards of hard work. Thanks for the glimpse! Patrice, while I enjoyed the article and am happy to read about your homesteading experiences, a couple of sentences in your article annoyed me. "Not that most Americans will care, of course..."
I admit that there are many who refuse to face reality about the state of our country. But I am also offended when writers continue to assail us with statements that mention how much "most of us" are concerned with "American Idol" and whether our Doritos are going up in cost. I disagree. "Most of us" -or at least the 49% of us who actually still WORK for our living DO know what is going on and are trying to do whatever is in our power -through prudent pruchases, preparedness measures, or VOTING - trying to reverse the downward course of our nation. But the runaway executive branch, the incompetent and self-interested legislative branch, and the "lord it over all" judicial branch are beyond our control. We get to choose which lousy candidates to vote for. Big whoop! And we all KNOW that once that candidate gets in, he will cave to the bribes and perks of the real powers that be. So, please, lighten up on "most Americans". Really, it is condescending and not cool anymore. 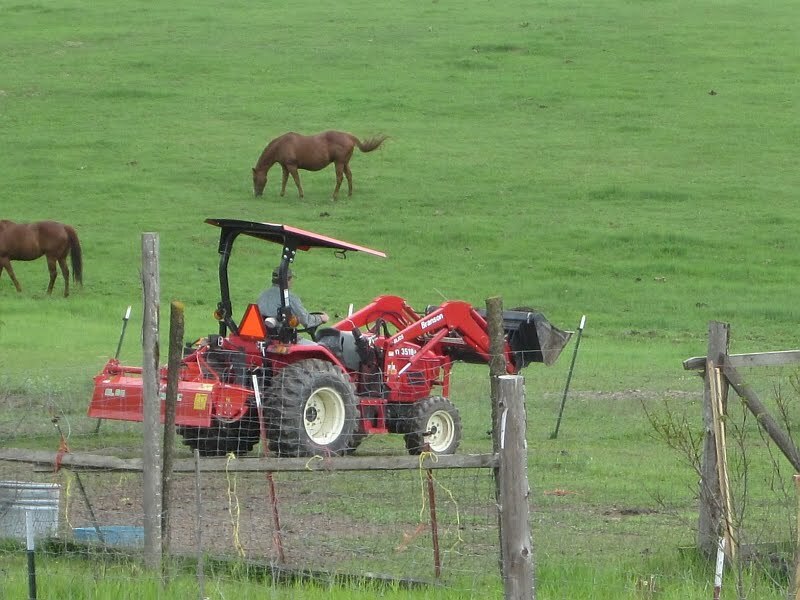 I still love your articles and check in to see how your homesteading is going when I can. I stand corrected -- I should have said "many" Americans rather than "most." Sadly it's still a huge number. And I entirely agree with you about the dearth of political candidates. Even the most noble politician seems to turn crooked once in office. Not all, but most. Great post! 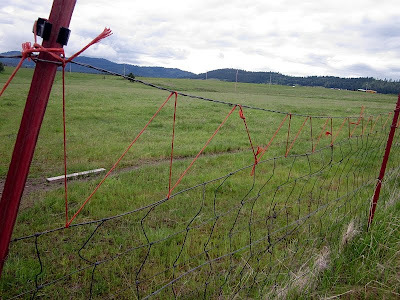 Love the baling twine repair. Good to hear it is holding for now, too. And yeah. How stupid is that to bail out Spain? We're doing what we can to be ready. Just hoping it will be enough and soon enough. I agree with Fred. The liberal socialists have been slowly destroying our country for a while now. And sadly, many people are surprisingly willing to let them. oddly..not like bale a boat but english maritime law..? bail, like criminal freed...?......oddly..? Great post! I was actually thinking about where my "holes" were today. I think my biggest hole is my neighbors. I am not one to be very "neighborly." I like to keep to myself. I'm not mean or anything. I just like my privacy. But, I know if it gets ugly, these are the people that I'm going to have to depend on. Thanks for the reminder.